Anthony Pettis’ coach wants to see his fighter go one-on-one with Conor McGregor. Pettis scored a knockout victory over Stephen Thompson last month. It was Pettis’ first welterweight bout under the Ultimate Fighting Championship (UFC) banner. With the win, Pettis finds himself in the eighth spot on the 170-pound rankings. McGregor claimed to be retired from the sport of mixed martial arts, but he quickly said he’s ready to handle business inside the Octagon. 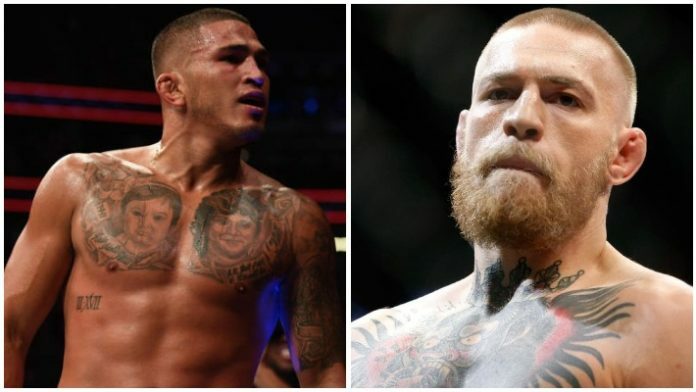 Would you like to see Anthony Pettis vs. Conor McGregor?